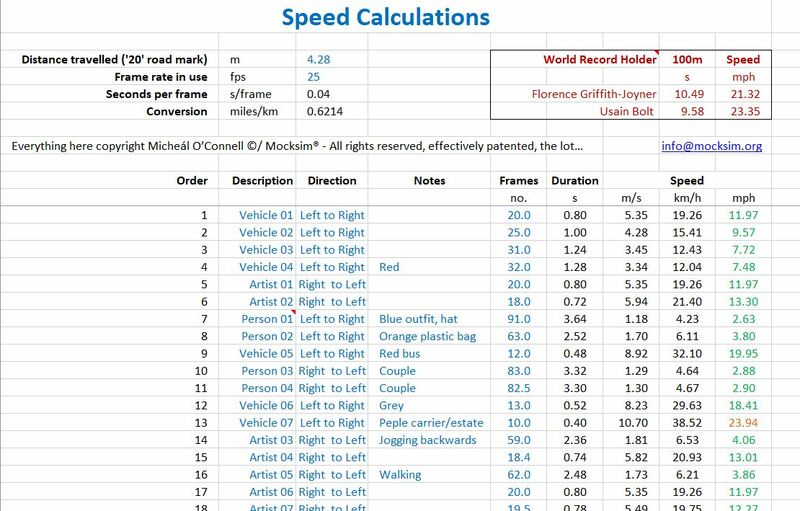 Project Speeding: I was interested in measuring the speed of cars, and other vehicles, and realised that by capturing video and then counting the number of frames between two points on the road that was easily calculable. It occurred to me that it would be neat to use the actual 20 signs, painted onto many of Britain’s roads now, and count the frames as vehicles drove over these. As part of the project I decided to try and beat the 20mph speed limit on foot, and produced Car-ing. People sent documentation of their viewing of Car-ing on its release, 25th December 2016, and some of the feedback from that is posted here: Car-ing screening.